As many of us already know, eggs are a great source of protein. But did you know that they contain so much protein that the Canadian food guide has classified them as a "meat" ? Though we'll never really know if the chicken or the egg came first, we can be certain that eggs always come first when it comes to the health benefits they have to offer. Brown, white, or even blue - no matter the shell colour, all eggs are virtually the same in terms of nutritional content. Popular the world over because of their nutritional richness and their ability to add unique texture and lightness to foods, eggs are considered a staple or "an essential" food. With each omelette or frittata you eat, eggs are giving you high amounts of protein, choline, selenium, vitamin B, and lots of healthy omega-3 fatty acids. But only with the magic combination of both the white and yolk can you get the full nutritional benefits of eggs. The yolk contains most of the cholesterol (an essential molecule for life), minerals, and fatty acids (including omega-3 fatty acids) and vitamins A, B, and D . In fact, most of the nutritional wealth of an egg lies in its golden yolk! Eggs are an "eggs" quisite source for these essential nutrients. Key vitamins found in eggs (both the yolk and the egg white) include A, B2,B5, B12 and D . If you're able to read these words, it's because of vitamin A. Vitamin A is a crucial component of a light absorbing protein called rhodopsin. Rhodopsin is abundant in the eye (i.e. the retina) and used to convert light into signals that the brain can process. Vitamin A is also used in many tissues throughout the body and is particularly important for maintaining healthy skin and preventing acne (by reducing the size and secretions of sebaceous glands). The B vitamin complex found in eggs, which includes vitamins B2, B5 and B22, is a group of several essential nutrients that are used in a variety of enzymes to break down fats and carbohydrates. Bones are kept strong by calcium, but vitamin D is just as important for bone health. The vitamin D found in eggs promotes calcium absorption in the gut, maintains high levels of calcium in the blood, and contributes to bone growth . Bottom line: Tired of taking vitamin supplements? Try eggs instead, they're full of vitamins! Did you know that egg yolks are the richest dietary source of choline on the planet? Choline is a water soluble nutrient that is considered essential for human health.., Indeed, choline has a wide variety of health benefits . Typically grouped with other B-vitamins, choline is an important precursor to the neurotransmitter acetylcholine. The importance of choline with regard to brain function lies in its role in memory creation and retention. Not only is choline important for keeping your brain sharp as an adult, it is even more important for helping the fetal brain grow and develop. In fact, in one study of pregnant women, it was found that supplementation of choline early on (before and just after birth) caused greater memory performance in children both at the time and then later in life . Though choline can be synthesized within the human body, dietary supplementation is necessary in order to maintain general organ and brain health. While most of the news these days about choline relates to its "brain benefits", choline is also important for maintaining liver health and preventing the development of a condition known as non-alcoholic fatty liver disease (NAFLD). NAFLD is a condition where there is excess accumulation of fat cells in the liver, leading to liver vulnerability and scarring . Fatty liver disease is the most common liver disease in the developed world. NAFLD not only damages the liver (which is essential for clearing the body of toxins) it can also lead to liver cirrhosis and further increase your risk of heart disease. Choline not only prevents NAFLD and heart disease, it can also help reduce the risk of heart disease by another route. In particular, choline regulates and reduces the levels of an amino acid known as homocysteine. High levels of homocysteine are known to increase the risk for cardiovascular disease and even Alzheimer's disease . Bottom Line: the high concentration of choline in egg yolks makes it an eggcellent way to get your requirements of the nutrient, keeping your brain sharp while at the same time reducing your risk of cardiovascular, Alzheimer's disease and liver problems. Figure 4. Beneficial effects of EPA and DHA. Scientifically validated beneficial effects of EPA and DHA as evident by epidemiological evidence as well as in vivo and in vitro studies. Blocked lines are to indicate the suppression effects. EPA, eicosapentaenoic acid; DHA, docosahexaenoic acid; CVD, cardiovascular disease. Everyone these days is talking about omega fatty acids. There are basically two types: omega-3 fatty acids and omega-6 fatty acids. Both are essential, but omega-3 fatty acids appear to offer more health benefits. The best sources of omega-3 fatty acids are found in ocean fish (tuna, salmon, herring), but they are also in egg yolks. Although chicken eggs naturally contain some omega-3 fatty acids, it is now possible to get omega-3 enriched eggs. This is done by feeding egg-laying hens food that is rich in fish oils. One particular omega-3 fatty acid called Docosahexaenoic acid (DHA) is very abundant in egg yolks. DHA has been shown by researchers to improve memory and learning when ingested. On the other hand, when diets are deficient in DHA learning deficits can develop. (Muldoon) Not only are low DHA values associated with learning deficits but so too is age-related cognitive decline and Alzheimer's disease. In addition to its importance for mental health, DHA and another omega-3 fatty acid called Eicosapentaenoic acid (EPA) have been shown to prevent symptoms of inflammation, aging, arthritis, insulin resistance, depression, and slowing down certain cancers. (Siriwardhana). Omega-3 fatty acids play a role in how the body produces certain inflammatory molecules call prostaglandins. When no omega-3 fatty acids are present, a fatty acid called arachidonic acid (AA) binds to an enzyme called cyclooxygenase (COX) which produces the inflammatory molecule called prostaglandin E2 (PE2). When EPA is present however, it binds to COX with instead of AA, which leads to the production of prostaglandin E3 (PE3). PE3 has a lower inflammatory effect than PE2 and therefore lessens the inflammatory response (siriwardhana). Omega-3 fatty acids also act on a different protein called Nuclear Factor Kappa B (NFKB). This protein plays a central role in the development of cancers, in aging and arthritis. It has also been shown that EPA and DHA have an inhibitory effect on NFKB and this seems to limit the development or progression of these diseases (Cite references). Bottom Line: Eating omega-3 supplemented eggs can make you mentally sharper and help reduce your risk of developing Alzheimer's and cardiovascular disease BUT you must eat the yolks! Every living cell in your body contains biotin, an enzyme coenzyme also known as vitamin B7, vitamin H, or coenzyme R. Biotin is not as well known as other vitamins but it is now considered an essential nutrient for humans . Humans can fulfill their biotin requirement, in part, through their diet. Just one large, hard boiled egg (50g) contains 27% of your daily requirement of biotin ! Most of the biotin in eggs is found within the yolk. If you become mildly deficient in biotin you can develop a number of adverse neurological and psychological symptoms. These include depression, hallucinations, and numbness in your extremities. If you continue to become severely deficient, the symptoms can be hair loss, conjunctivitis, and a red scaly rash on your face and genital areas. Pregnant women, because of their extra nutritional needs, are more likely to be deficient in biotin. Having a deficiency during pregnancy is very problematic as this can cause fetal malformations like cleft palate. Embryos, fetuses and infants are much more sensitive to biotin deficiencies than the pregnant woman so even if the woman does not show any symptoms the baby can be severely affected. Bottom line: Eggs are a bountiful source for biotin and biotin is best for beautiful bouncy babies. Have you ever wondered where the golden colour of the egg yolk comes from? It actually comes from a group of pigments called carotenoids. There are two types of carotenoids: xanthophylls and carotenes. Lutein and zeaxanthin are the two xanthophylls (from Greek: xanthos 'yellow' and phullon 'leaf') that are responsible for the colour of an egg yolk. Is it just two chemicals that make the yolk that yellow? Yes, in fact zeaxanthin is also marketed as a food dye and is officially registered in Europe as food dye 161h ! These two zany xanthophylls are also key to keeping your eyes healthy and your vision sharp. The highest concentrations of lutein and zeaxanthin in the body are found in the retina. A recent study  showed that higher concentrations of lutein and zeaxanthin in the blood correlated with high densities of pigments in the macula lutea or "yellow spot" (the center of the retina). These pigments absorb and filter light, reducing glare, enhancing colour contrast and improving recovery from intense light exposure . Another study linked lutein and zeaxanthin to higher densities of macular pigments (MP) as well as improved visual performance (based on a flickering light test) and enhanced temporal (brain) function . Eating eggs will boost the levels of lutein and zeaxanthin in your body, and therefore higher pigment densities in the eye's "yellow spot". High levels of these pigments in the body have shown promising signs in stopping certain eye diseases. For instance, xanthophylls have been implicated in preventing age-related macular degeneration, by raising the density of macular pigments, which led to better visual function . These pigments have also been shown to reduce the risk of age-related cataracts, as these pigments are also present in the eye's lens . Bottom line: Eggs for eyes! Eggs are a proven source of two pigments that will keep your eyes healthy and your vision sharp. There is no doubt eggs are notoriously high in cholesterol. Ever since the 1960's, eggs have been demonized as cholesterol "bombs" and physicians and nutritionists have told patients to treat eggs as a cardiovascular hazard. Yet cholesterol is essential for life. It is used in every single cell in your body to maintain the integrity of cell membranes, it is a precursor for many hormones, and it is essential for digesting fats. Like many crucial compounds, cholesterol is naturally produced within the body. Cholesterol is so important that in fact, a Nobel Prize was awarded in 1964 for the discovery of how our bodies make cholesterol !, So why is cholesterol being painted as a villain? It's not so much cholesterol itself that's the problem, it's how cholesterol is moved around and stored in the body that's the problem. You see, cholesterol is shuttled around the body using microscopic fat globules called lipoprotein particles. These particles are cholesterol packages surrounded by proteins. It's actually these lipoprotein particles that are the problem. That's why most doctors today often talk about good cholesterol and bad cholesterol. The good cholesterol is known as HDL (that's the cholesterol found in high density lipoproteins), while it's evil counterpart is known as LDL (that's the cholesterol found in low density lipoproteins). The higher the ratio between HDL and LDL, the better. A low ratio is an indicator of poor cardiovascular health, and an increased likelihood of heart disease. So it's not really the total amount of cholesterol that is the problem, it's where the cholesterol is ending up - or how it's being carried in the blood. Some people naturally store most of their cholesterol in HDL, while others store it in LDL. That ratio is partially determined by your genes, but also by the level of physical activity as well as your level of consumption of fruits, vegetables, fibres, and vitamins. In fact, many studies have shown that increased dietary cholesterol does not negatively impact heart health, or the HDL:LDL ratio [19-21]. So even though eggs have a fair bit of cholesterol, eating them (in moderation) won't change your LDL or HDL levels, nor will they increase your risk of heart disease. Indeed the human body is incredibly good at regulating its cholesterol production to accommodate increased cholesterol in the blood after a meal. This keeps the body at a healthy balance - homeostasis. 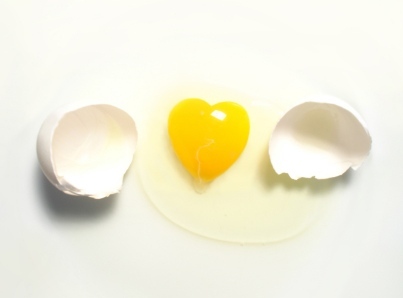 Bottom line: A healthy heart and eggs can get along, just remember that with all foods, it's best to eat in moderation. Selenium is a mineral that is essential to human health. But did you know that most people, including you, are probably deficient in it! Luckily, egg whites and yolks are a rich source of this essential mineral. In fact eggs can even be further enriched in selenium through selenium supplementation of chicken feed. One recent study found that the more selenium chickens eat, the greater proportion of selenium could be found in their eggs . Mildly reduced levels of selenium can increase your vulnerability to infectious diseases and affect your general health. A severe deficiency of the mineral can lead to even more severe health problems. These include a form of the heart condition or myocardiopathy called Keshan disease. It can also include a form of arthritis called Kashin-Beck disease, thyroid conditions, depression, fertility problems, immune system disorders, and cancer . Selenium is particularly important for the proper function of the immune system. A number of key enzymes in the body depend on selenium to produce what are called selenoproteins. Selenoproteins have a special amino acid called selenocysteine (the 21st amino acid), which replaces the conventional amino acid called cysteine. About 25 different selenoproteins have so far been observed in human cells and tissues. Some of these proteins are essential for life, others are especially important in controlling the immune response . In particular, selenoproteins play a role in leukotriene B4 synthesis, which is important for immune signaling and allowing the body to respond to infections . Selenium also helps fight cancer. Increased selenium levels have been shown to increase lymphocyte development into cytotoxic lymphocytes (CTL), and enhance natural killer cell (NK) activity, both of which kill cancer cells [23, 26]. Bottom line: Many people don't know that they're deficient in selenium. Eggs provide a good dose of this essential mineral to ensure your immune system keeps chugging along! Health Canada. Eating Well with Canada's Food Guide: Meat and Alternatives. http://www.hc-sc.gc.ca/fn-an/alt_formats/hpfb-dgpsa/pdf/food-guide-aliment/serving_meat-viande_portion-eng.pdf (accessed 11 July 2014). United States Department of Agriculture. USDA National Nutrient Database for Standard Reference. 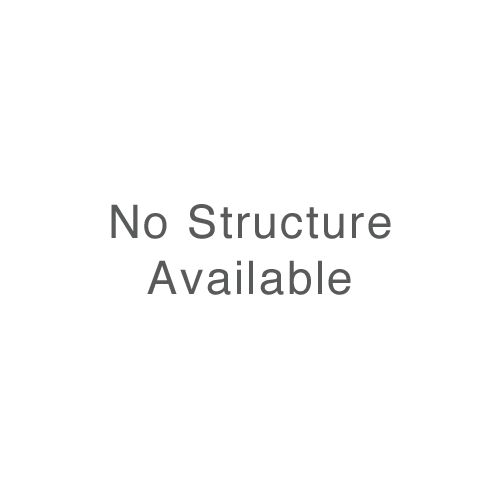 http://ndb.nal.usda.gov/ndb/foods/show/114 (accessed 10 July 2014). United States Department of Agriculture. USDA National Nutrient Database for Standard Reference. http://ndb.nal.usda.gov/ndb/foods/show/112 (accessed 10 July 2014). Herron KL, Fernandez ML. Are the current dietary guidelines regarding egg consumption appropriate?. J Nutr. 2004;134(1):187-190. Meck WH, Williams CL. Simultaneous temporal processing is sensitive to prenatal choline availability in mature and aged rats. Neuroreport. 1997;8(14):3045-3051. Horrocks LA, Yeo YL. Health Benefits of Docosahexaenoic Acid (DHA). Pharmacol Res 1999;40(3):211-25. Serhan CN, Chiang N, Van Dyke TE. Resolving inflammation: dual anti-inflammatory and pro-resolution lipid mediators. Nat Rev Immunol 2008;8(5):349-61. Swanson D, Block R, Mousa SA. Omega-3 fatty acids EPA and DHA: health benefits throughout life.. Adv Nutr 2012;3(1):1-7. Renzi LM, Hammond BR Jr. The relation between the macular carotenoids, lutein and zeaxanthin, and temporal vision. Opthalmic Physiol Opt. 2010;30(4):351-7. McNamara DJ. Dietary cholesterol, heart disease risk and cognitive dissonance. Proc Nutr Soc. 2014 May;73(2):161-6. Shin JY, Xun P, Nakamura Y, He K. Egg consumption in relation to risk of cardiovascular disease and diabetes: a systematic review and meta-analysis. Am J Clin Nutr. 2013 July;98(1):146-59. Surai PF, Sparks NHC. Designer eggs: from improvement of egg composition to functional food. Trends Food Sci Tech. 2001;12(1):7-16. Rayman MP. The importance of selenium to human health. Lancet. 2000;356(9225):233-241. Angstwurm MW, Gaertner R. Practicalities of selenium supplementation in critically ill patients. Curr Opin Clin Nutr. 2006;9(3):233-238. Arthur JR, McKenzie RC, Beckett GJ. Selenium in the immune system. J Nutr. 2003;133(5):1457S-1459S. Kiremidjian-Schumacher L, Roy M, Wishe HI, Cohen MW, Stotzky G. Supplementation with selenium and human immune cell functions. Biol Trace Elem Res. 1994;41(1-2):115-127.